2015 NFL Draft from an HBCU Perspective ! The first HBCU player selected in the 2015 NFL Draft was not picked until the 4th Round,Which is pretty good considering only 4 players out of 256 selections made were from Historically Black Colleges & Universities. 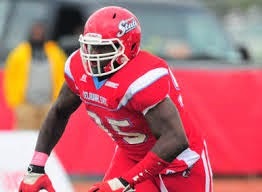 Gunter who stands 6' 5" tall and weighs in at 305lbs played for Delaware State and is now a member of the Arizona Cardinals who Selected the Hornet with the 17th pick in the 4th round and 116th overall selection. 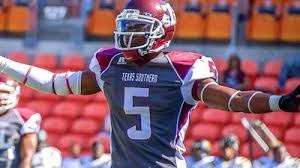 Tray Walker a Defensive back from Texas Southern was the second HBCU player picked in the 2015 NFl Draft ! Walker was selected at the end of round four by the Baltimore Ravens. The 6'2" 180lb former Tiger was the 37th pick in the 4th round and 136th overall selection. Robert Myers of Tennessee State became the Third HBCU player selected in this years draft and the new teammate of Tray Walker! 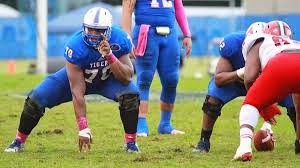 The 6'5" 326lb former TSU Offensive lineman was the last pick of round five when he was selected by the Baltimore Ravens. 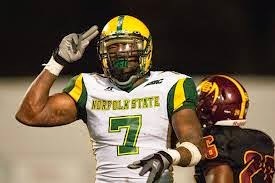 Anthony Morris became the fourth and final HBCU football player drafted in this years NFL Draft when he was the first player selected in 7th round by the Oakland Raiders. 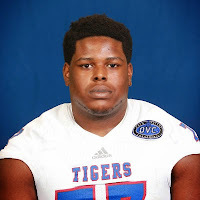 The 6'6" 290lb Morris was the 218th pick overall and second TSU Offensive lineman picked up in the Draft ! Many HBCU players signed contracts with teams as undrafted free agents almost immediately following this years NFL Draft! Norfolk States Linebacker Lynden Trail Signed to play for the Houston Texans!